Gibraltar and San Francisco converge to reveal a sophisticatedly tailored workplace. Throughout the meeting spaces, break room, and boardroom, fogged glass, textured stone, angular walls, and faceted forms provide an injection of the unexpected to a tailored boutique-like setting. 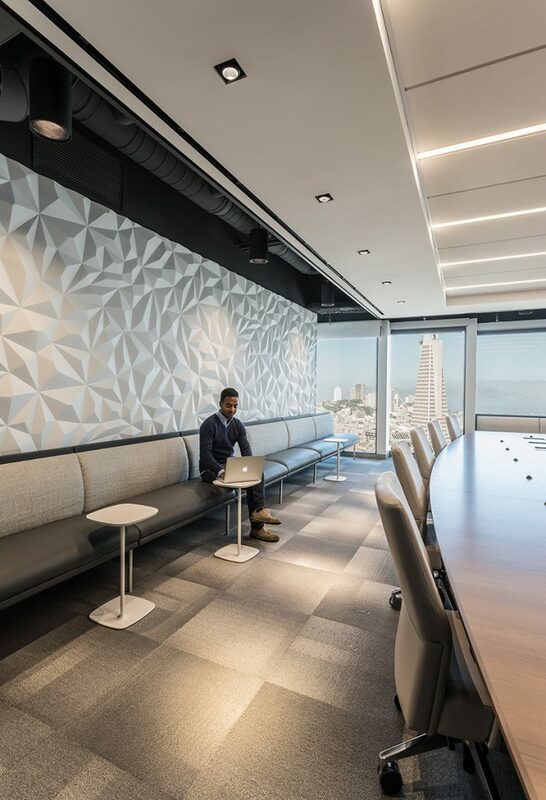 The design reflects the rapidly shifting nature of the contemporary workplace and supports diverse environments for collaboration, focus and social exchange with panoramic views of the San Francisco Bay.